Are These Drones the Fix for Our Depleted Forests? A system of drones has been developed to help quell the loss of Earth's trees. The system can help plant almost 100,000 trees per day. The Earth is rapidly losing its forests at a rate much faster than humans can replant. Exact figures vary, but according to Scientific American, “most analysts attribute upwards of 15 percent [of global carbon emissions] to deforestation.” This means that by clearing or burning the Earth’s forests, we are directly contributing to the rapidly increasing rate of climate change. One Australian engineer is enlisting technology to fight the battle against deforestation. 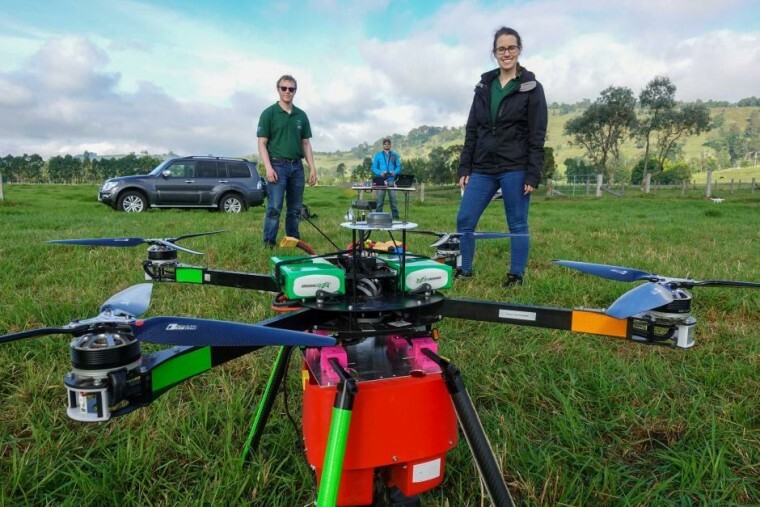 Dr. Susan Graham has helped develop a pair of drones that can help mitigate some of the damage by planting trees at a rate that far outpaces what is possible to do by hand. The first drone scans an area of land, searching for an ideal plot to plant. This drone helps to make a 3D map of the area and then special algorithms are employed to find the best places to plant. The second drone then takes that map and its payload of up to 150 seed pods and gets to work shooting the seeds into the ground. Lauren Fletcher, the CEO of BioCarbon Engineering, said: "We're firing at one a second, which means a pair of operators will be able to plant nearly 100,000 trees per day — 60 teams like this will get us to a billion trees a year." Drones get a lot of press for their delivery capabilities, but Amazon packages aren't the only way to utilize this technology. There are lifesaving drones that can beat EMTs to emergencies, drones that could help to support declining bee populations, and even drones to stand in for backup dancers. All of this and much more is to come, since not even the sky is the limit.